The ring may be the cornerstone of every engagement, but times have changed when it comes to stone size. Even though the diamond is likely to be the focal point of the piece, bigger doesn’t mean better. No matter your hand size, style, or price point, choosing a small stone for your diamond engagement ring can still turn heads. 1. Prioritize quality over quantity. More than any other stones, diamonds can be deceiving if you compare size with actual worth. Depending on the quality of your diamond, a large but flawed stone can cost a fraction of what you would pay for a smaller stone without inclusions or imperfections. This allows you to be able to select a stone with fewer carats without sacrificing sparkle. For this reason, choosing a small but flawless stone can make your ring shine from a mile away. 2. Play around with different designs. Whether you want a standard, round brilliant or an edgy emerald-cut center stone, you can optimize even a very small diamond ring by selecting the right style. Diamonds in fancy cuts like marquise and pear can give your ring a unique and alternative look without relying on a large stone to draw attention. 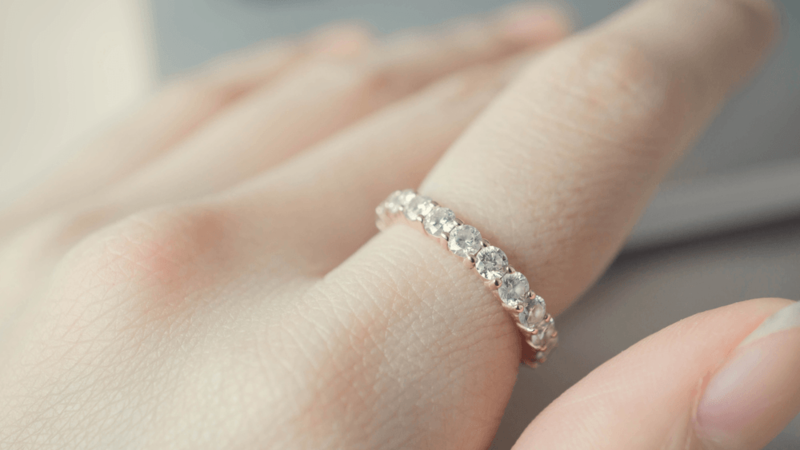 Small diamonds are also ideal for stackable rings, so you can use other pieces to create an overarching style that still makes a powerful, individual statement. You don’t have to be a thorough minimalist to appreciate more subdued styles. A smaller diamond can actually add to the overall aesthetic of your engagement ring. A small center stone can draw more attention to the setting or accents you choose, without forgoing the classic design of one center stone or a few dominant diamonds. If you want to feature the other materials in your ring without outshining the diamond, sizing down can give you the best of both worlds. A large stone can be gorgeous, but diamonds with higher carat weights can also overpower the other aspects of the ring or make the ring too heavy as a whole. Choosing a more modest stone allows you to highlight the supporting details in the design of your ring, such as a glittering halo or rich accent stones. If you want to create a design that doesn’t simply rely on a large stone to grab attention, a small diamond might be the solution to creating a piece that pops in a dainty and unique way. 5. Take advantage of more delicate designs. Small diamonds pair especially well with dainty details like engravings, interesting shapes, and borders. 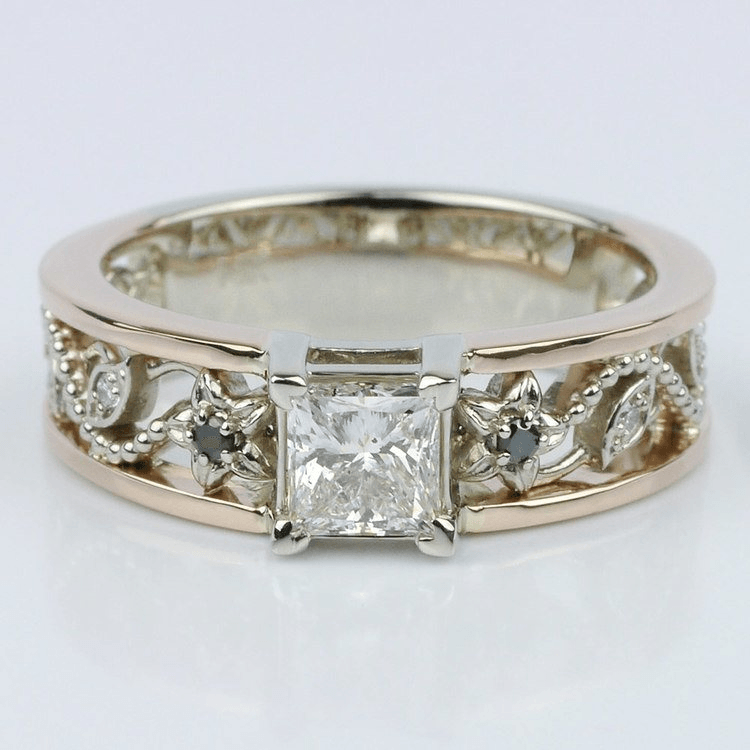 Opting for a smaller stone is ideal for featherweight elements like filigree or asymmetrical framing. Vintage styles with Art Deco or Cadenza features, for example, perfectly frame lower-profile stones. Or, you can bring out the character of a double-pavé band. Jaw-dropping engagement rings don’t have to be heavy. 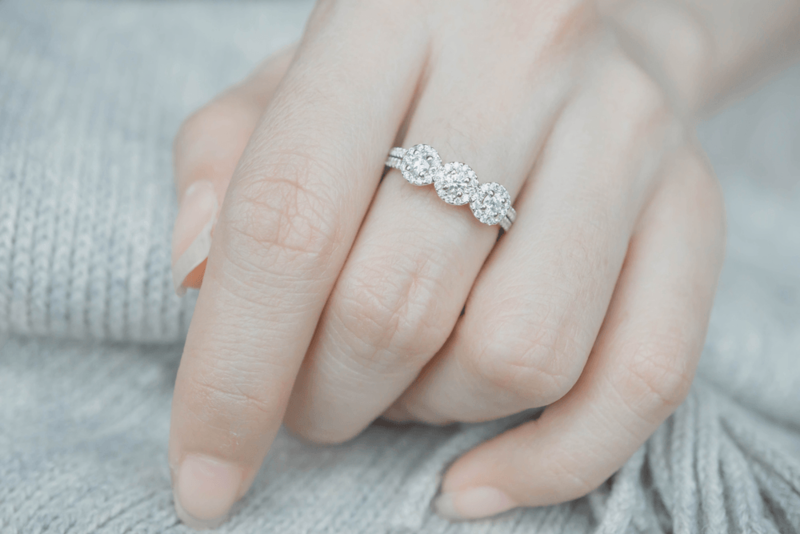 By spotlighting the overall design of your ring rather than solely capitalizing on the carat weight of your stone, you can create a ring that is memorable and striking without sacrificing charm.